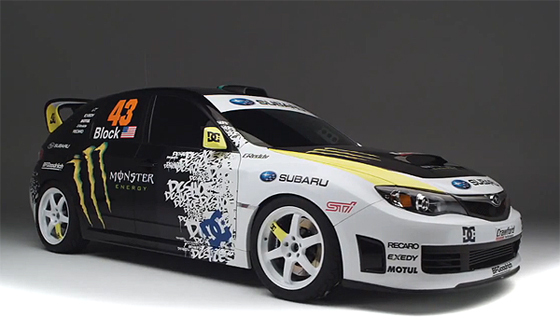 We promised we would keep you abreast of the Ken Block Gymkhana 2 progress and we are following up with one of the latest videos, the build of Ken Block’s 2009 Subaru WRX STI. Ken drives his new bone stock 2009 Subaru WRX STI to Crawford Performance garage for a complete tear-down and build-up of mostly everything from body panels replaced by carbon fiber fitments to the engine internals replaced and built with “performance” counterparts. The upcoming Gymkhana Practice is really going to be a treat. Stay tuned and we will bring you the latest!